Looking for a cheap microSD card? We like to have a look around for cheap memory cards every now and then. 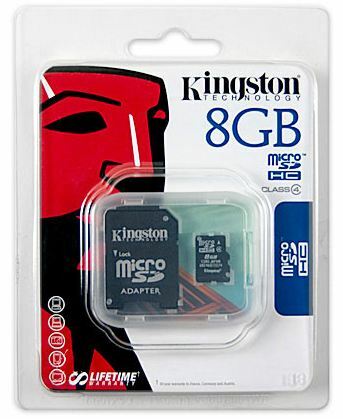 So, if you’re looking for a bargain, try this 8GB microSD from Kingston. It’s Class 4, comes complete with a microSD adapter to turn it into a full SD card too.